The Upper Unit was treated to breakfast for lunch this week thanks to the work of our Grade 4 class. During our Democratic Meeting, this group of students created a proposal to have breakfast for lunch once a month which would be planned, shopped for, and prepared by the students. The proposal passed when it was voted on by the entire Upper Unit and a new tradition was started. 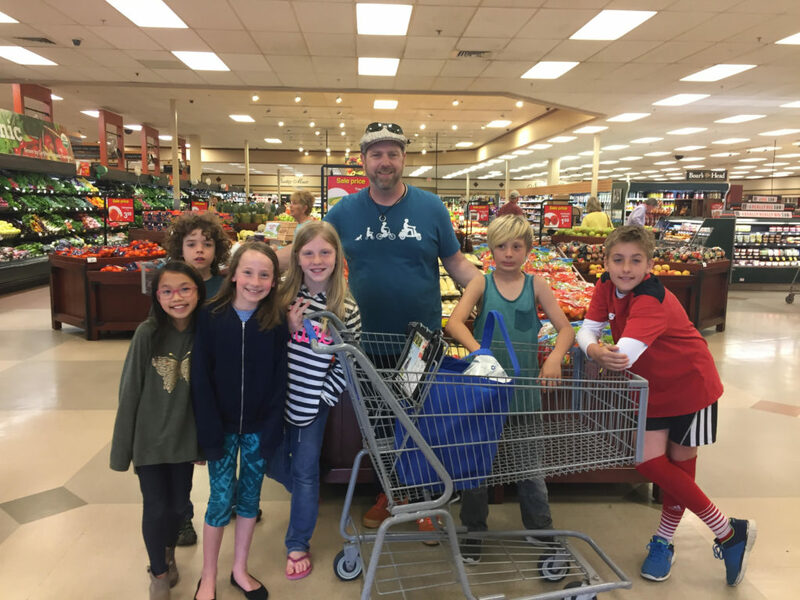 The members of the Breakfast Club created their menu and shopping list, and then met this past Sunday at Kroger to do the shopping. They gave up their recess to stay in and cook the meal which consisted of pancakes (regular and gluten-free), bacon (regular and vegetarian), and scrambled eggs. With maple syrup and chocolate chips for the pancakes plus orange juice and milk to drink, it was quite a meal! It is always exciting to watch our students take the lead in these activities and see where it takes them next. This entry was posted in community, cooking, McGuffey, Upper Elementary, upper unit. Bookmark the permalink.